Wanna recover deleted WeChat audio from iPhone/iPad and convert the WeChat audio into MP3? Follow this article, you will learn how to. This is a frequently asked question on Google. In this article, you will learn how to recover deleted WeChat Audio and convert retrieved WeChat Audio into MP3. Keep reading. 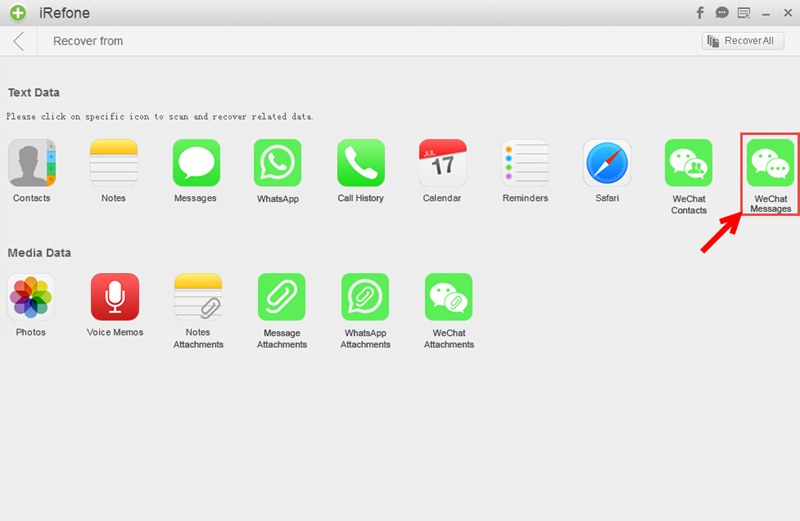 It is a professional iOS data recovery software, it can extract and backup as well as recover up to 16 + kinds of files, inlcuding contacts, notes, messages, photos, voice messages, WeChat messages ect. And it can recover data from iPhone, iPad and iPod as well as extract data from iTunes and iCloud backup, and it allows us to preview them and recover them selectively. Step One: Run iRefone, connect your iPhone with PC. 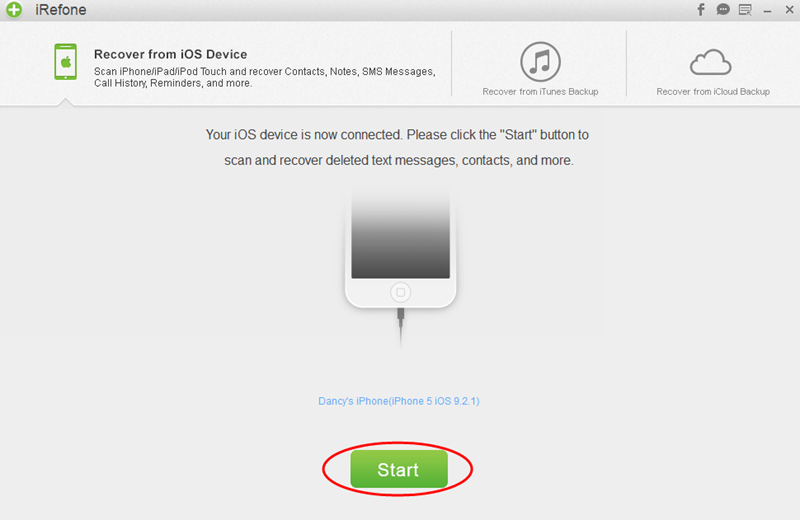 Then tap on “Recover from iOS Device”, click “Start”. Step Two: Then we’ll enter the new interface with many data icon and media icon that iRefone can recover, click “WeChat Attachment” icon, and it will be scanned by the software. Step Three: Wait a few seconds for scanning, then you can choose WeChat audio messages you need to convert to MP3, then tap on “Recover to PC”. After recovery, you can find those WeChat audio messages are saved as .aud format, which can be also played with your media player on your PC. And if you need to convert those .aud format files into MP3 for easily playing and sharing, you can get [b]Brorsoft Video Converter for help. See below steps. This entry was posted in Recover WeChat Data and tagged convert wechat voice from iphone to mp3, get wechat audio from iphone, how to save wechat audio to mp3, save wechat voice to mp3. Bookmark the permalink.